Need a change of pace from PUBG but don’t want to spend a ton of money on Call of Duty Blackout? Then you should be playing Ring of Elysium right now! Dont get me wrong, PUBG isn’t bad in any way. I have literally spent hundreds of really fun hours on it, and I plan on continuing to get my money’s worth as they release the new map and other updates in the future. I do feel like the level of fun I have playing it has decreased though, and I found myself looking for something new. I have seen loads of videos online of people playing the new Call of Duty with its Battle Royale mode Blackout, but just cant seem to bring myself to spend a ton of money on a Call of Duty game. I mean, its not 2010 right? Is Call of Duty still a thing on PC? Stumbling across a random online video promoting Ring of Elysium, I was drawn to it by the words “free on steam”. Yup, the game is free to download and play on steam, so there was literally no downside to giving it a try. 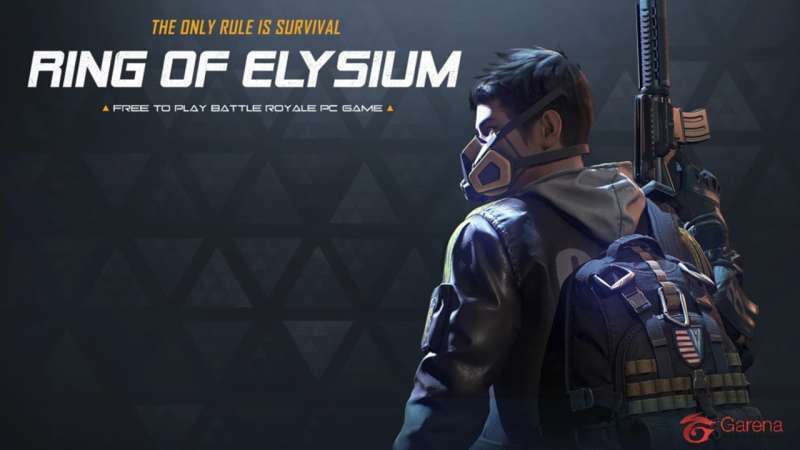 Ring of Elysium is a Battle Royale (BR) set in a snow covered mountainous region, with a map size similar to Sanhok (the smaller map of PUBG.) They have done a lot of things differently from other BR’s that I really enjoy, and ill list them out for you. –Only 60 players. I didn’t realize that I wasn’t enjoying 100 players in a map until I played with only 60 players in Ring of Elysium. The game feels way less chaotic, more strategic, and has a better game flow. –Starting weapon. Finally!!! In Ring of Elysium each player begins the match with a starting weapon. There is nothing more frustrating in PUBG than running around looking for a weapon and finding nothing as your opponent finds an M4 and K98 right away. –Starting kit. At the start of each match you get to choose a starting kit which gives you your gun as well as a special way to move around the map. You can choose between a hang glider, a snowboard, or a climbing kit. Each can help you get to the safe zone in a hurry and also give you some advantages over your opponents. I like the climbing kit because it also gives you access to zip lines set up throughout the map which are really fun to use and allow you to get to mountain tops that other players cant easily access. The capacity size of your backpack is also based on the kit you choose. –Specific spawn point. Before the game starts, you can choose a starting point on the map. Not only do you know where you will spawn, you can also see how many people will spawn next to you, and nobody else can spawn in the same spawn point as you. –4 winners? Yup! Instead of the last player standing winning, at the end of the game a helicopter comes down with a rope ladder, and 4 available seats. Whoever can get up the rope ladder and into the helicopter is a winner. But beware, you are very vulnerable while climbing the rope ladder. This makes for some really interesting end game scenarios. –Deagle. There is a Desert Eagle. Enough said. –Ballistics. The ballistics are not nearly what they are in PUBG. Bullet drop and hit boxes don’t seem as consistent, but I still make some nutty plays and crazy long shots. –Graphics. Don’t get me wrong, the graphics are good, but not as good as PUBG. –Sound. PUBG has really improved their sound, making it easy to identify where people are shooting from. In Ring of Elysium you will struggle to know if your opponent is 50 or 200 meters away, but you can tell quickly if they are close or far. Also, the gun sounds in Ring of Elysium are awesome. I mean, when someone shoots a gun near you, it sounds like someone is shooting a gun near you. Its loud and jarring. I love it. Ring of Elysium is definitely my go-to game right now and I highly recommend it to anyone who loves Battle Royale games, as I only see it getting better and better. Come check it out on steam, and ill see you guys on the rope ladder!